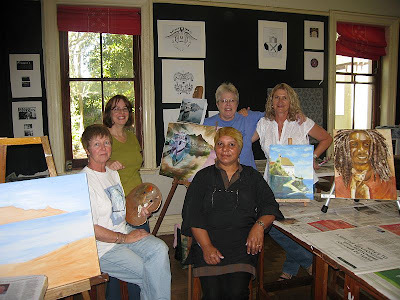 This is a photo of our social art group. We get together every Friday morning during term time at the Frank Joubert Art School in Newlands and have a great time. We share the cost of hiring the room. We paint in all mediums, help each other when needed and swap news and gossip. Some of the topics of conversation are very interesting indeed. If any local artists are interested in joining us, we have a few vacancies left for next term. You can comment on this post or use the form at the bottom of this page to contact me. Please provide contact details so that I am able to get back to you.